PHNOM PENH, Cambodia -- Soldiers in northeastern Cambodia, an area where illicit logging and smuggling are rife, killed a forest protection ranger, a military police officer and a conservation worker in apparent retaliation for their seizure of equipment from illegal loggers, officials said Wednesday. 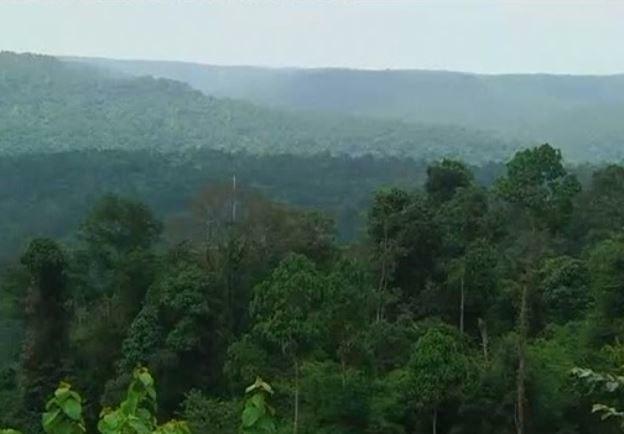 Keo Sopheak, a senior environmental official in Mondulkiri province, said the three-person team was attacked late Tuesday afternoon after patrolling in the Keo Siema wildlife conservation sanctuary. He said the dead civilian was a Cambodian employee of the New York-based Wildlife Conservation Society. The three are the latest victims of an alarming trend in recent years, the murder of environmental defenders by parties seeking the financial exploitation of natural resources. Roughly 200 activists have been killed worldwide in each of the past two years, according to the U.K.-based watchdog group Global Witness. "The three were killed not by robbers or a guerrilla group but they were shot by government armed forces who backed the illegal timber cutting," Keo Sopheak said. The conservation team had earlier confiscated chain saws and motorcycles from some Vietnamese logging illegally, he said. A copy of a report sent by Mondulkiri police chief Ouk Samnang to National Police Chief Neth Savouen seen by The Associated Press identified three border security officials who it said had shot and killed the conservation team. The report named Phal Penh, a border police officer, Keut Vehar and Ngur, border military officers, as the shooters. Cambodian security forces are known to collaborate with illegal loggers who smuggle the wood to neighboring Vietnam. The Keo Sieman sanctuary has valuable timber and is a habitat for many wildlife species. The multi-million dollar illicit trade in wood plagues much of Southeast Asia, with China being the major market and transit point. The trade is vast even though the region has suffered heavily from deforestation for several decades. In early 2016, Cambodia established a special committee led by army Gen. Sao Sokha to crack down on the smuggling of logs to neighboring Vietnam, and tough-talking prime minister Hun Sen said he authorized helicopters to fire rockets at smugglers of illegally cut timber, but there has been no public evidence of a major crackdown. Keo Sopheak and other officials said a special committee has been established to investigate Tuesday's attack.